I’m posting this a few days early, but I think I will give myself a pass. I love steampunk. I am currently working on my wardrobe so I can wear it regularly to work. 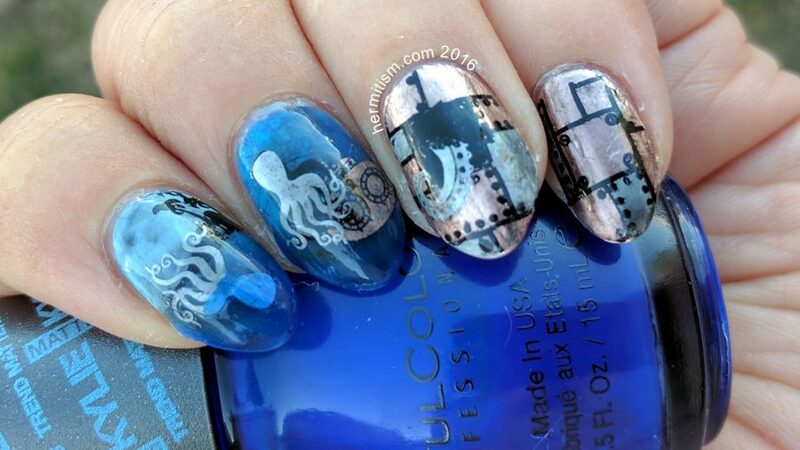 I also love this nail art. The blue is incredible and just transparent enough that I can make a pond manicure. And, hey, since it’s October, I thought I’d tell a morbid story with this one. I also made the octopus tea strainer in a metalworking class at college. Cool steampunk look! 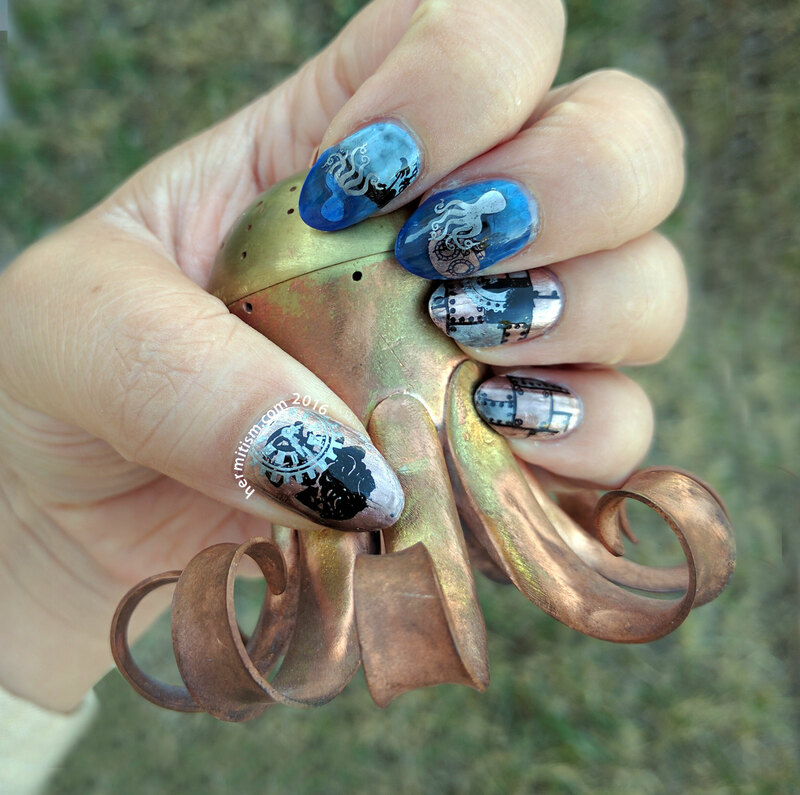 I love how you colored in the metal plates in the different metallic tones to give it that pieced-together look- and your submerged octopus is such a cool use of of a jelly polish! Really creative. This is just fabulous!!! I love anything steampunk, and you knocked it right out of the park!